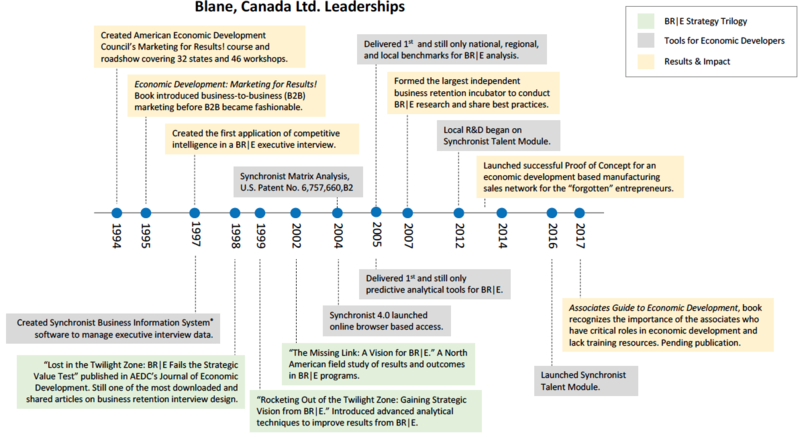 Services - Blane Canada Ltd.
Economic development consultants are like the punchline to the old joke on the value of experience: In the first panel, the consultant boasts of 12 years of experience. In panel 2, the thought bubble over the executive’s head… 1 year of experience 12 times. Our professional contributions timeline clearly shows the Blane, Canada difference. Structured, flexible process. We understand the need for a structured process as well as the need for flexibility to ensure any process conforms to the dynamics of the community and the clients’ organization. Success. Success is not always about digging the same hole deeper. A great deal of our success has been helping clients and the profession find new places to dig.